Shocking teens pregnancy, HIV stats at a school in Limpopo - SABC News - Breaking news, special reports, world, business, sport coverage of all South African current events. Africa's news leader. Health MEC Phophi Ramathuba held a teenage pregnancy awareness campaign at Dididi in the area. 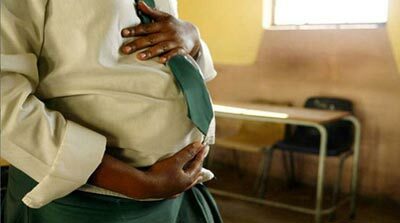 The Limpopo Health Department has revealed that 36 learners aged between 10 and 19 at one of the secondary schools in the Mulenzhe area, outside Thohoyandou, are pregnant. The department also says 31 other learners aged nine to 19 from both primary and secondary schools have been infected with HIV. She has expressed shock at the findings. Statistics from local clinics in the rural area of Mulenzhe prompted the Limpopo Health Department to act. It has been found that children as young as nine, are sexually active. This has resulted in a high rate of teenage pregnancy and HIV infection. A lack of recreational facilities and a prevalence of alcohol consumption among teens are contributing factors. At a local high school, 36 learners are currently pregnant. A Grade 12 learner who has two children, aged three and one warned other learners against falling pregnant. The 19-year-old says becoming a parent at a young age has affected her schooling. The teen mother says she had been educated about contraceptives. Another Grade 12 learner, who has a three-month-old son, told her peers of the difficulty of raising a child while still at school. Health MEC Phophi Ramathuba says after receiving reports about the situation, she visited the area. Ramathuba says the prevalence of new HIV infections among children who are not born with the virus takes the country back in the fight for an HIV free generation. This entry was posted on 16 Oct 2018,04:39PM at 4:39 PM and is filed under Sci-tech, News, Homepage Latest Stories Slider, Homepage Featured Story Slider. You can follow any responses to this entry through the RSS 2.0 feed. Both comments and pings are currently closed.